“O you who believe, Fasting has been prescribed upon you as it was prescribed upon those before you, so that you practice self-restraint” (Qur’an, 2:183). 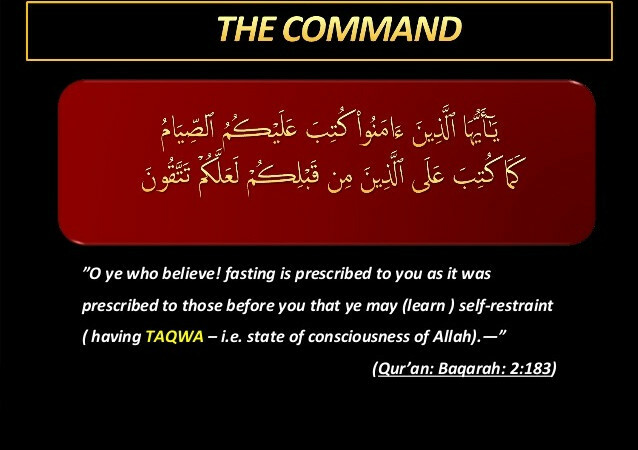 The very essence of fasting is to inculcate the quality of taqwa (self-restraint / piety / Allah-Consciousness) and to suppress our desires. If we are able to abstain from lawful things whilst fasting, all the more easy it will be to abstain from unlawful things during and after Ramadān.